My downstairs is a major work in progress. To offset the utter chaos, I am trying to organize my upstairs. 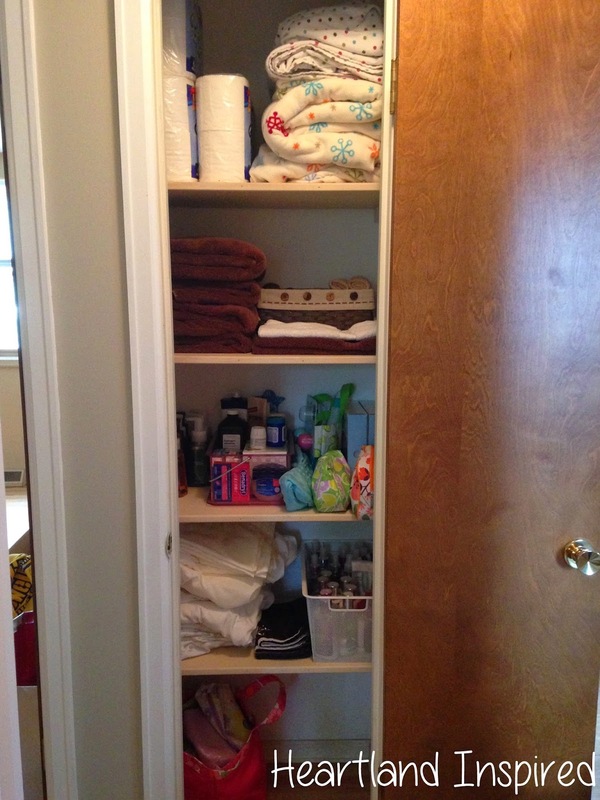 My first project to conquer was the linen closet. I had a little inspiration - found on Pinterest, of course. 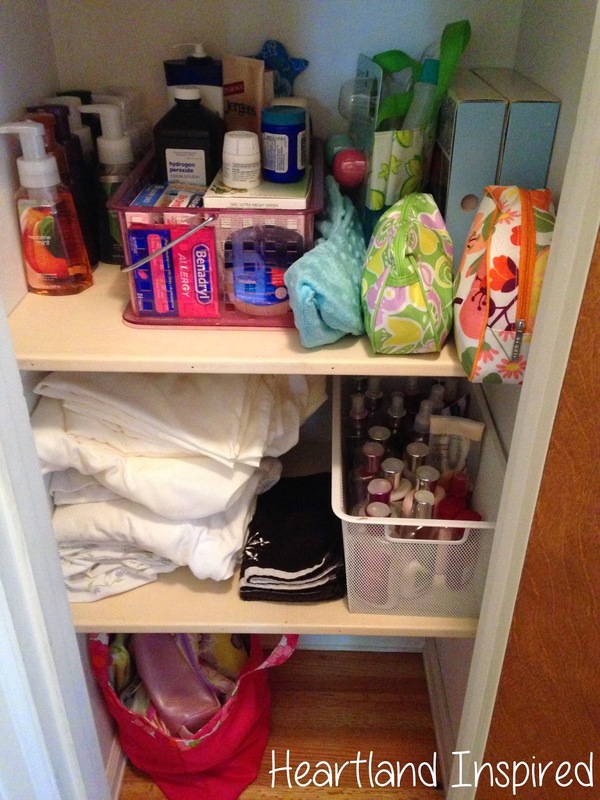 This post by First Home Love Life was a great starting point in thinking of how to best organize my closet. Because of limited space in my last apartment, I wasn't able to organize the way I would have liked. My sheets were in a zippered bin under my bed. 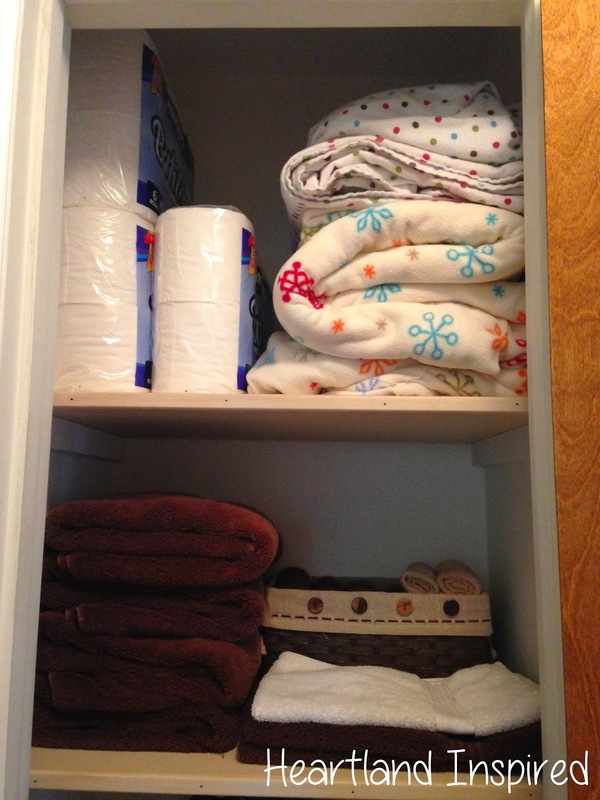 My towels were shoved on the shelves. Things were constantly toppling over. Now I have extra room to be able to organize. I have room for my sheets and towels. My washcloths are in a basket, so they aren't just thrown where they fit at that particular moment. I have a little bit of an obsession with Bath and Body Works soap. I always have a stock pile of it. I also have a lot of lotion and body spray that I like to rotate depending on the season. All of it is put away. One of the best things about having an organized closet is being able to see everything. I know exactly what is in there and where to look for things. I know it will all be a work in progress, but at least some progress has been made.